Search Our Inventory / All Rugs / 1&apos; 11" x 2&apos; 9"
(High-Decorative) (�Spring 2019 New Acquisition�) This darling, finely-woven antique Senneh weaving's impressionistic artistry and stirring colors makes it a very precious find. 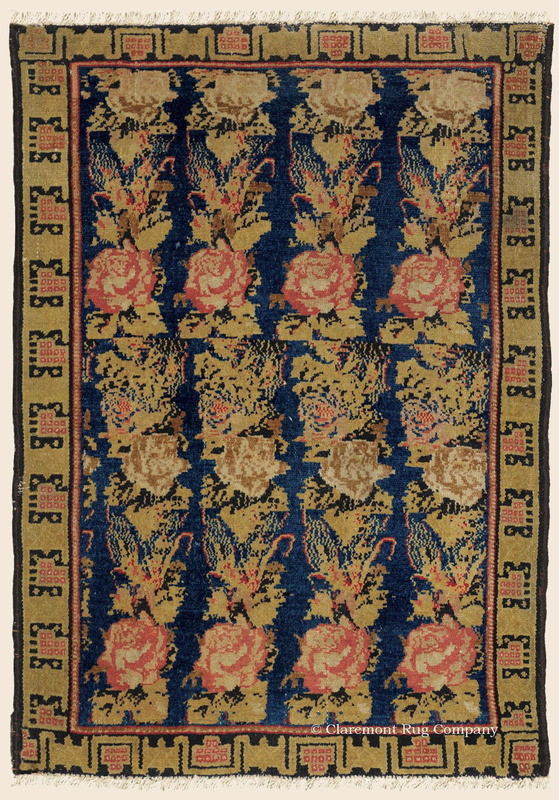 Its prized guli farang ("foreign flower") design is tremendously abstracted and inventive - note the elemental, deconstructed way each cabbage rose is presented on the Persian rug's glowing cobalt blue field. Four rows of these well-drawn, realistic flowers are uniquely enhanced by more suggestive leaves that together create a riveting, fascinating tapestry that is further augmented by remarkable primary golden hue and superfine weave.